As Mozilla continues to launch new and improved iterations of its Firefox web browser every few months, the next version will bring with it a feature that has already been a huge boon for Google Chrome and Microsoft Edge users thus far. Firefox 66 will introduce the option (enabled by default) to mute any automatically playing video content, avoiding the sudden bursts of volume as users struggle to find the media in their sea of open tabs. While not nearly as common or invasive, the same option will apply to automatically playing audio, unless you deliberately press ‘play’ on the embedded audio or video player. If they wish to do so, users can opt out of this audio blocking for entire sites via an icon in the URL bar, and for sites that have access to a user’s camera and microphone (typically conference services such as Google Hangouts), these will be exempt by default. 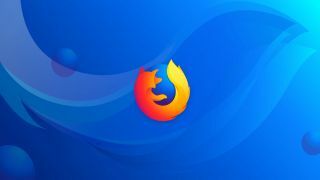 The changes will be implemented in Firefox 66 which is scheduled to launch March 19, and will arrive alongside other features (such as scroll anchoring) that should make its users' lives a little easier .